In a sensational incident in Kokrajhar district, one 28-year-old woman identified as Panchi Beck killed her alcoholic husband on Sunday. The incident took place at Daolabari Tea Estate under Kokrajhar Police Station at around 10 am. Police said the woman killed her husband, identified as 30-year-old Atwa Beck, with a sharp weapon while he was sleeping. Panchi was later arrested and brought to Kokrajhar Police Station where she confessed that she had killed her husband with a sharp weapon. “This morning also, Atwa came home in an inebriated state and had beaten up his wife before retiring to bed but his wife in the feat of anger hacked her husband to death,” police added. 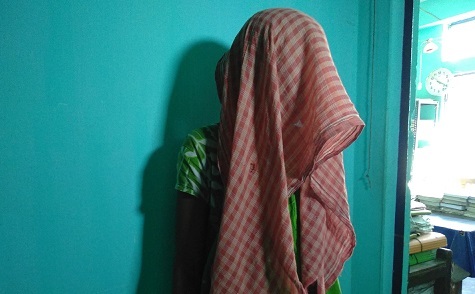 “We have arrested the woman, who has confessed to have killed her husband,” said the Officer-in-Charge, Kokrajhar Police Station, B Basumatary. The couple has two children – one is 9 years old and another is 5 years old.